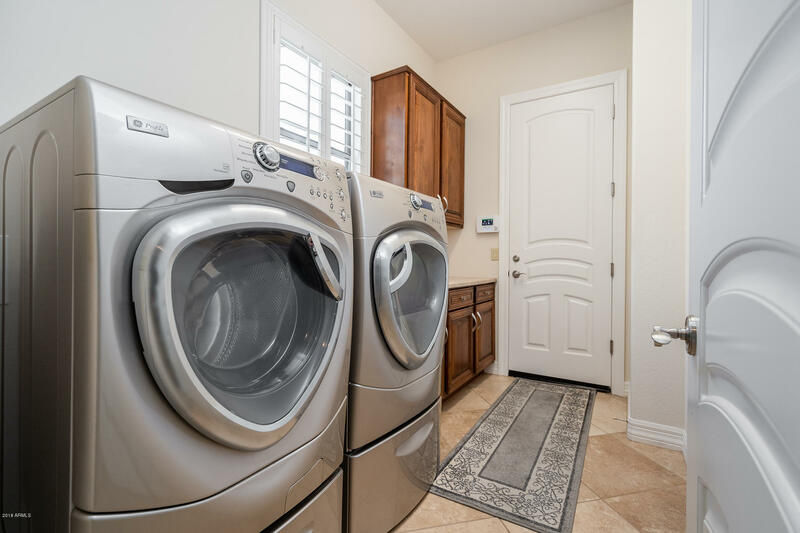 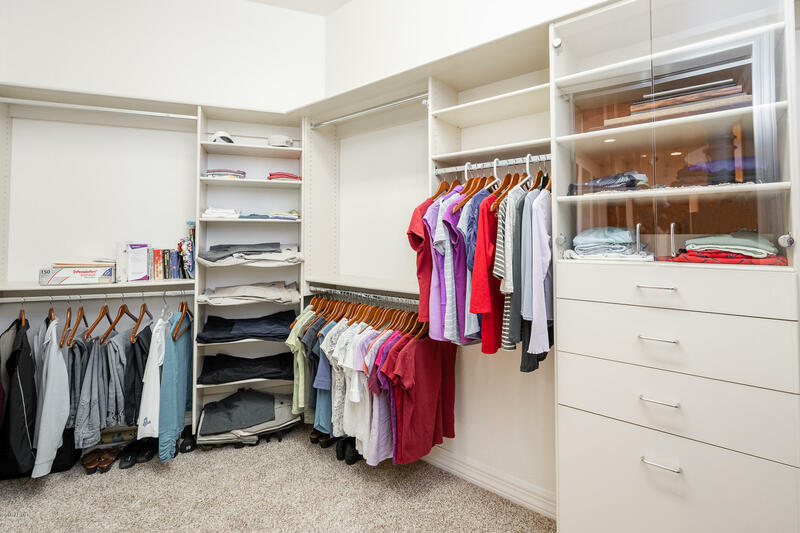 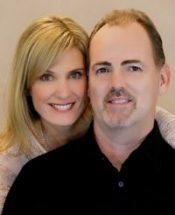 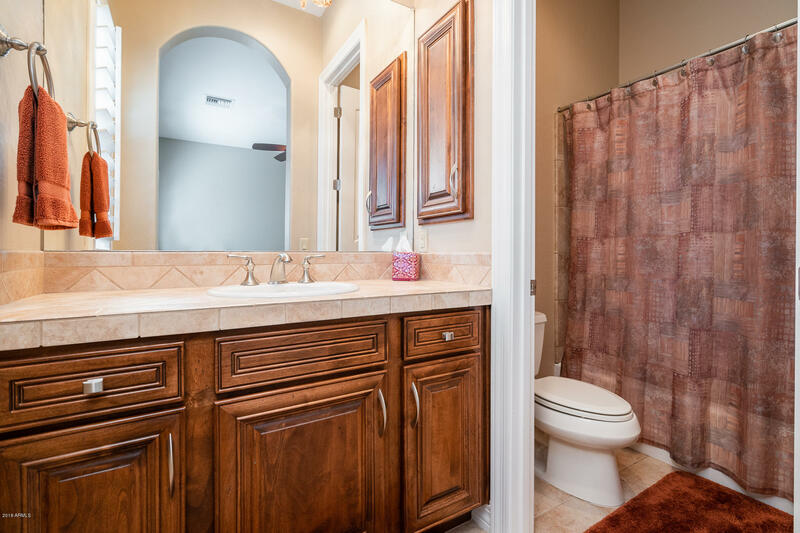 with his/her vanities, granite counters, jetted tub, custom walk-in shower and walk-in closet with Classy Closet upgrade. 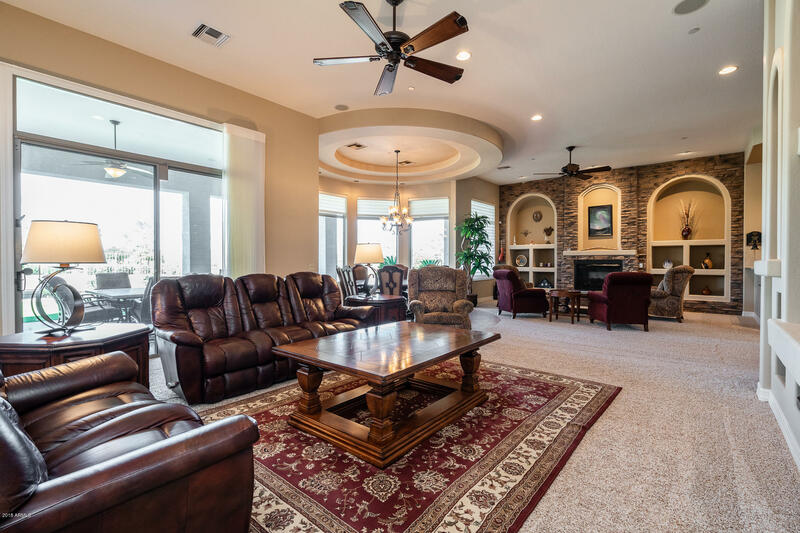 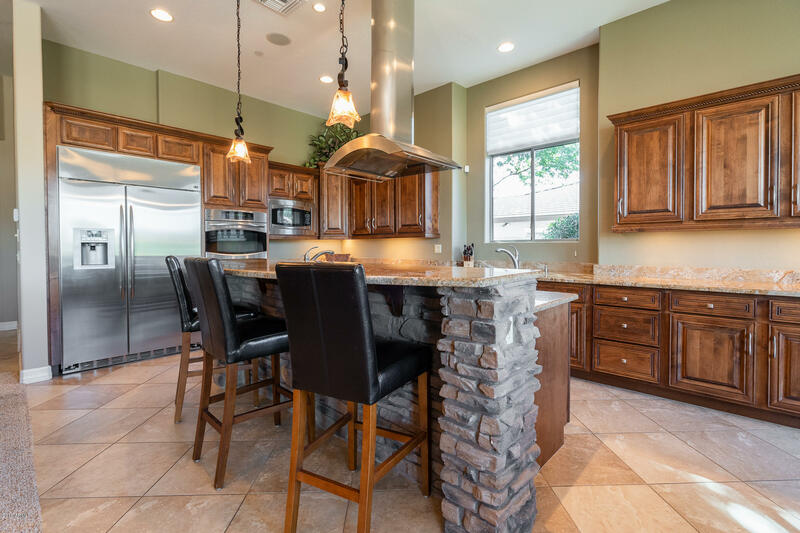 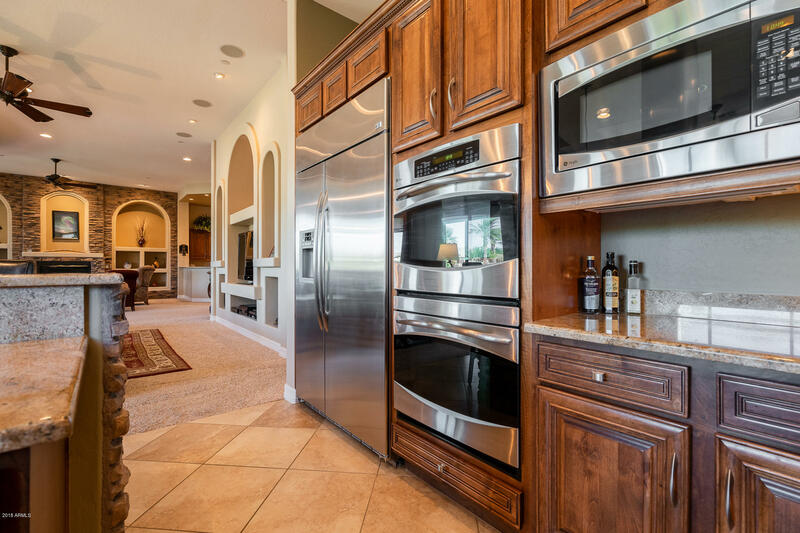 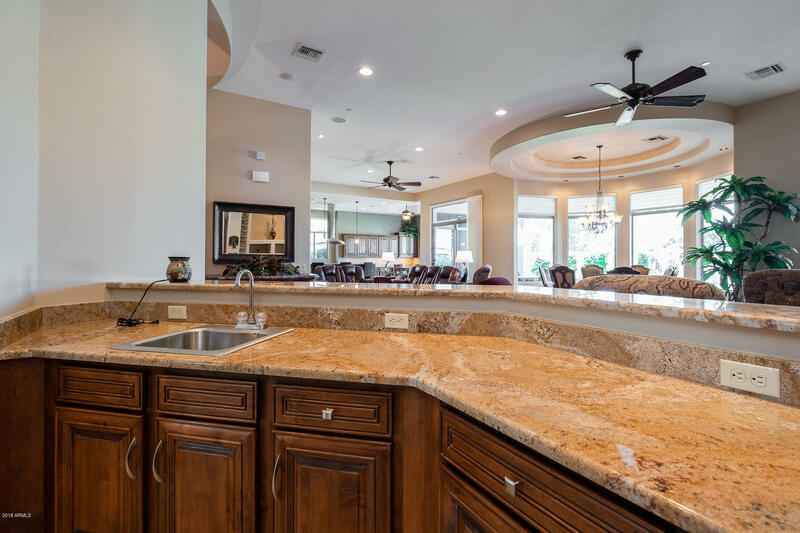 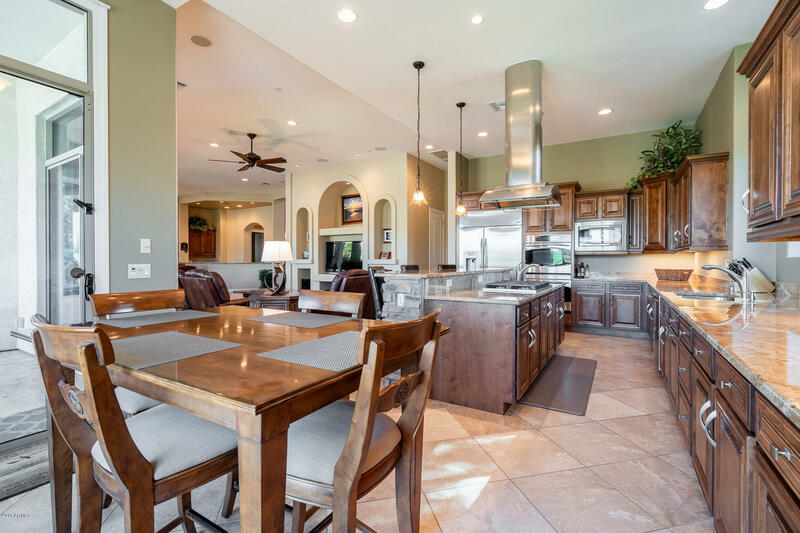 High-end finishes throughout include Hunter Douglas blinds and plantation shutters, custom light fixtures and ceiling fans, two tone custom paint, stacked stone entertainment niche with fireplace, surround sound with Control 4 stereo system and circular formal dining area overlooking backyard. 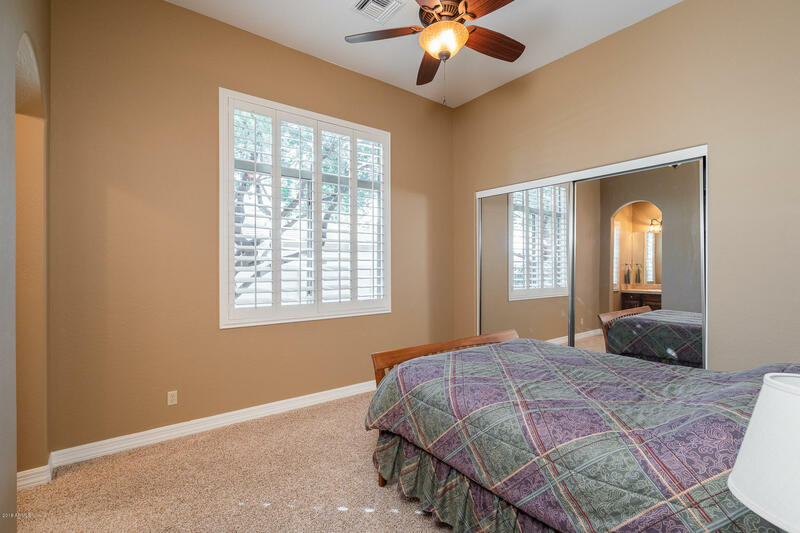 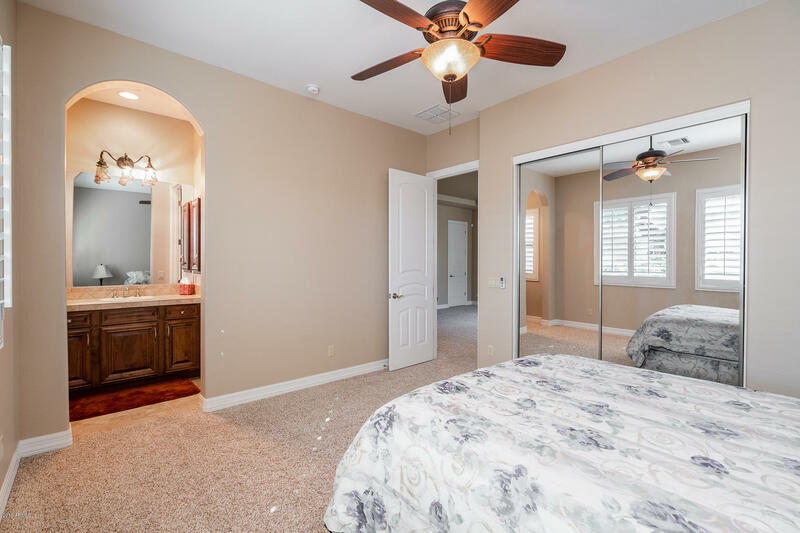 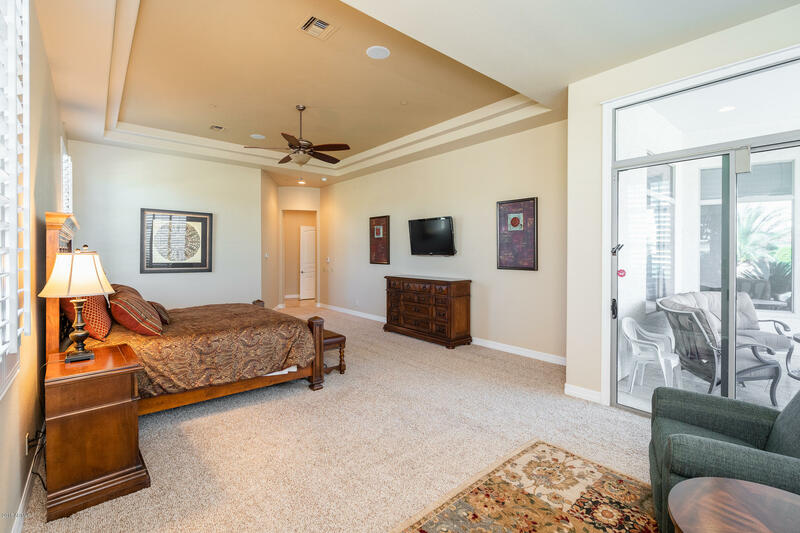 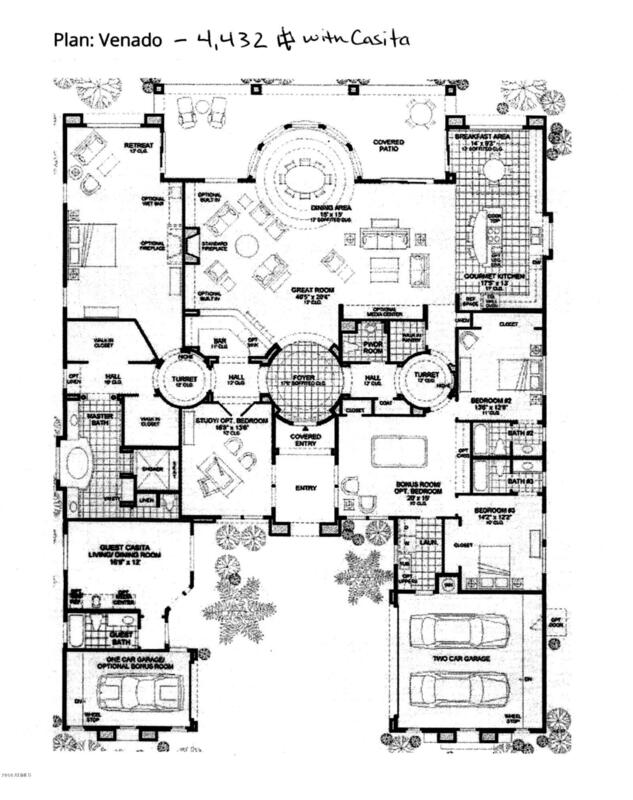 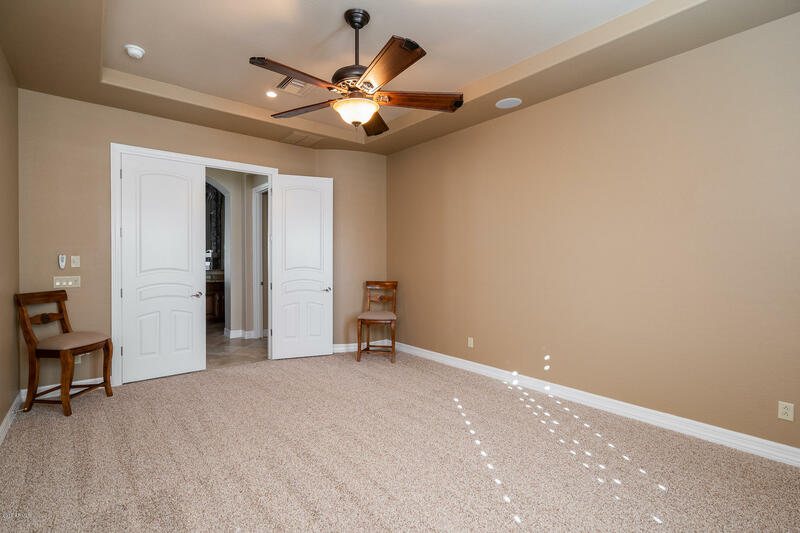 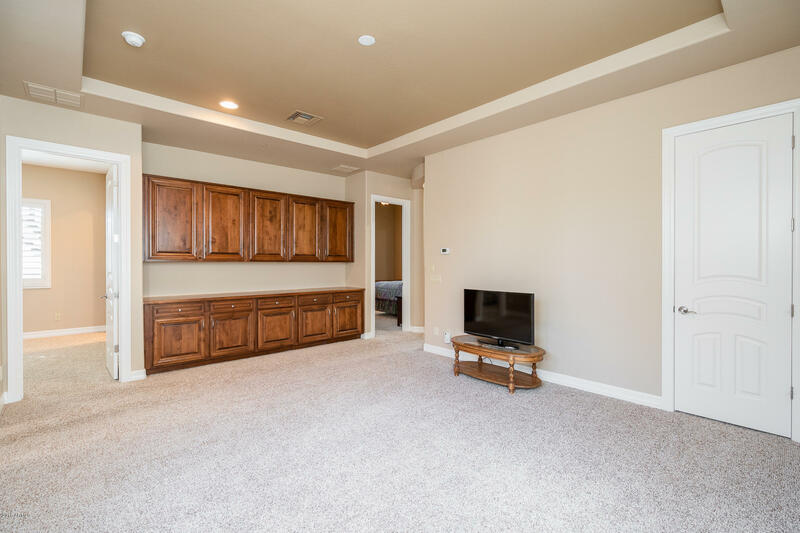 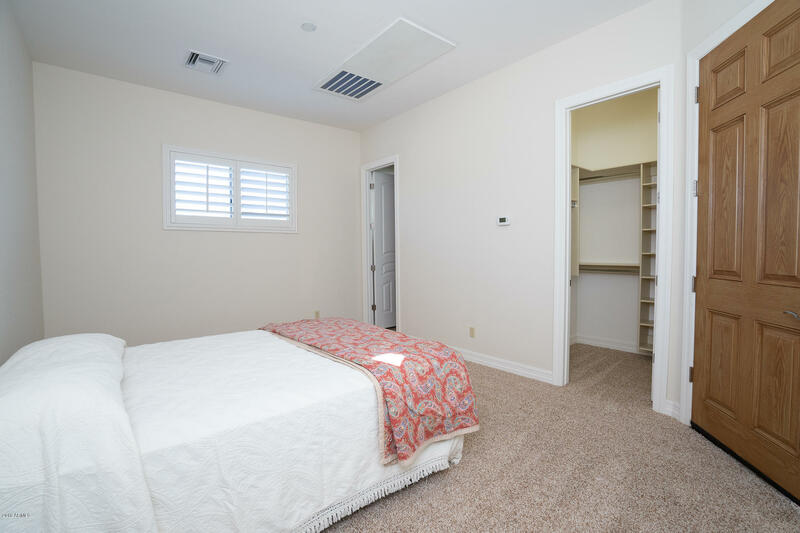 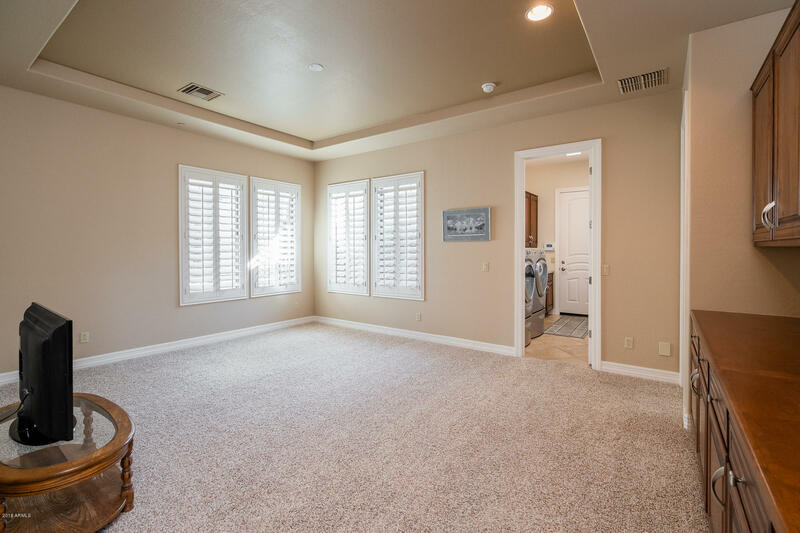 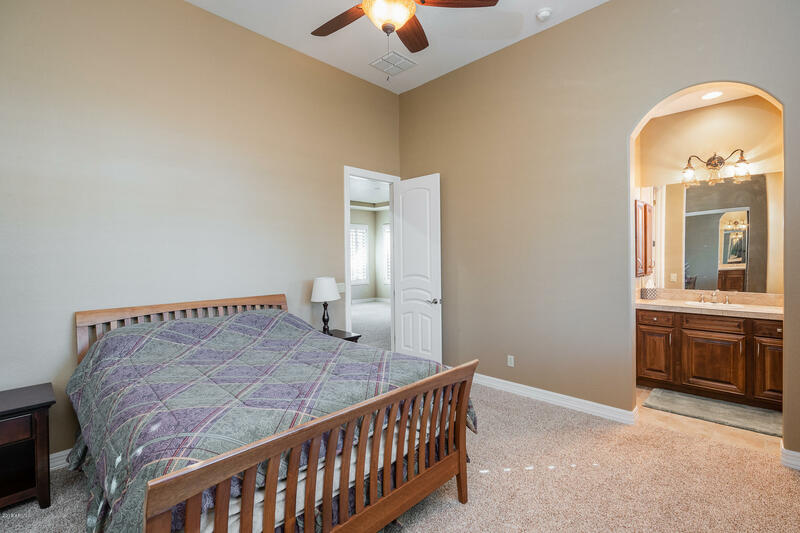 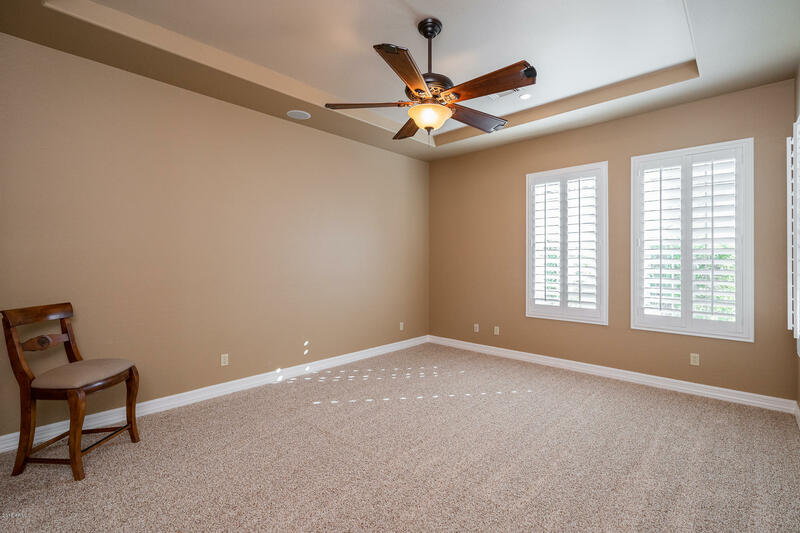 Bedrooms 2 & 3 are split from master with full baths and share a separate bonus room. 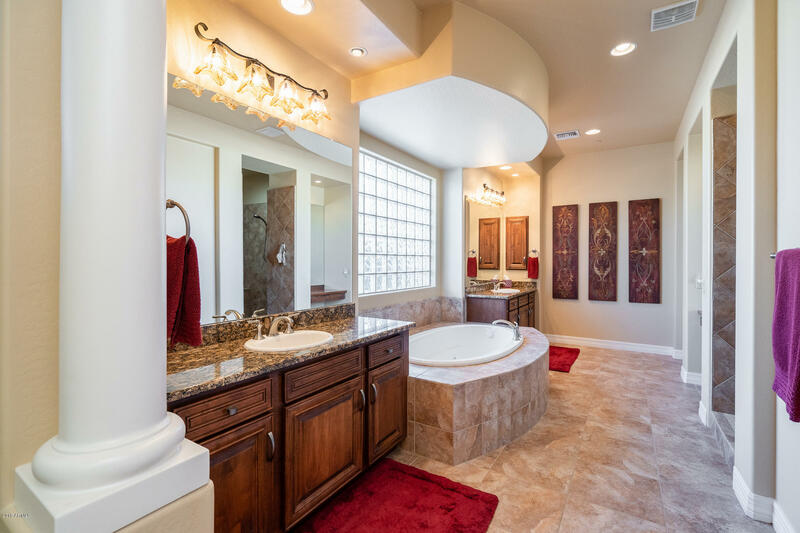 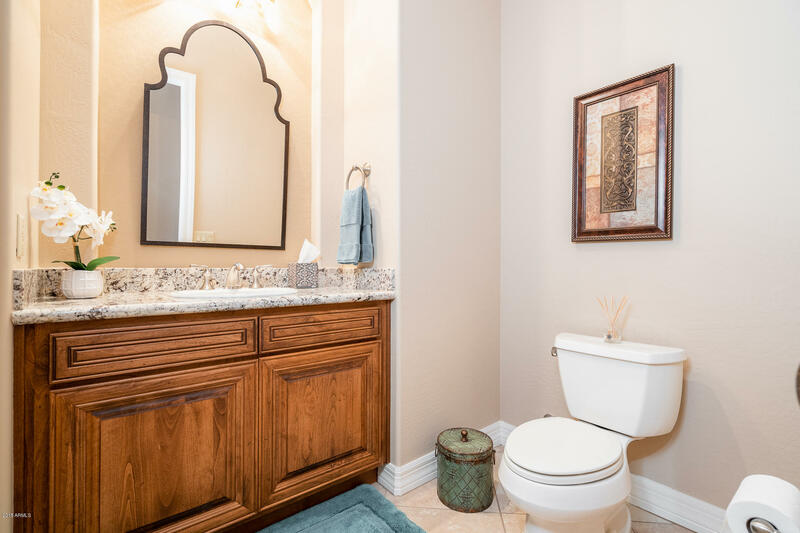 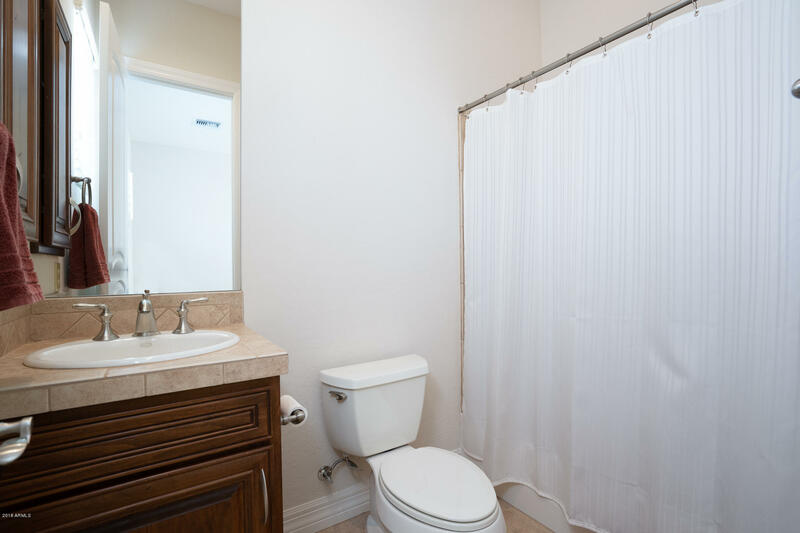 Casita with full bath at front of the home is perfect for guests, in-laws or office. 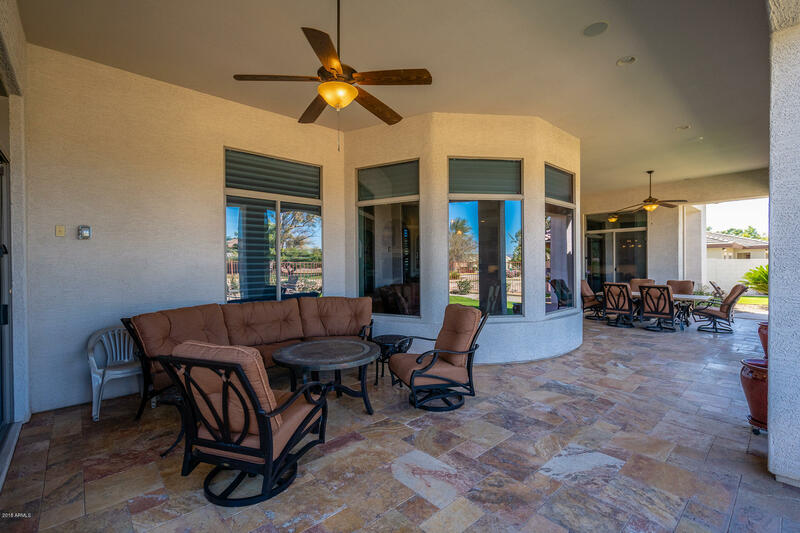 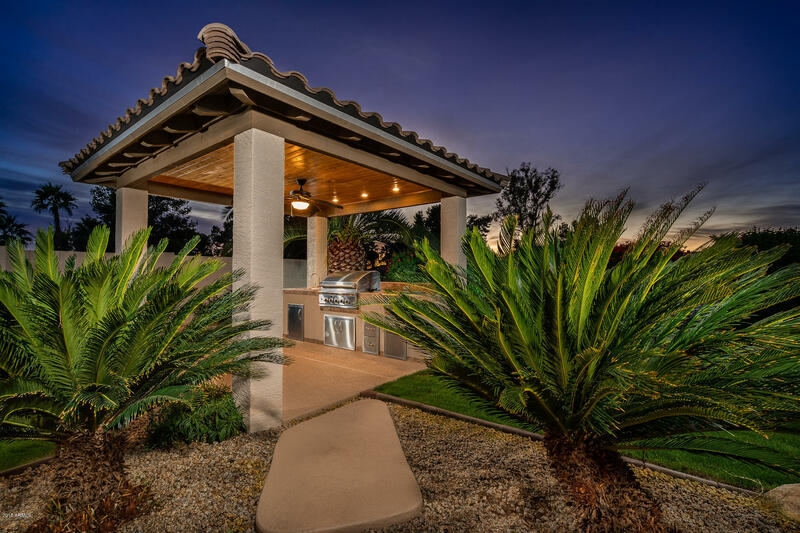 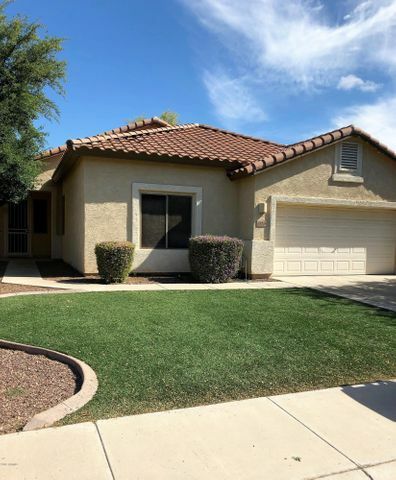 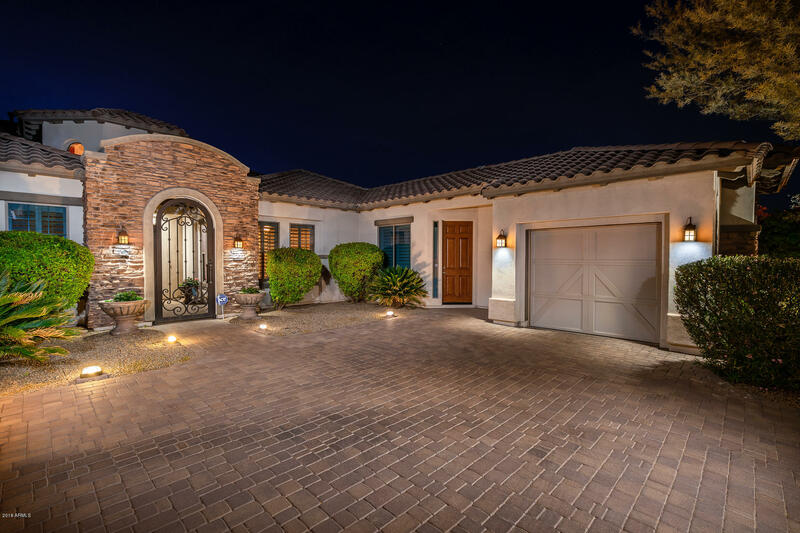 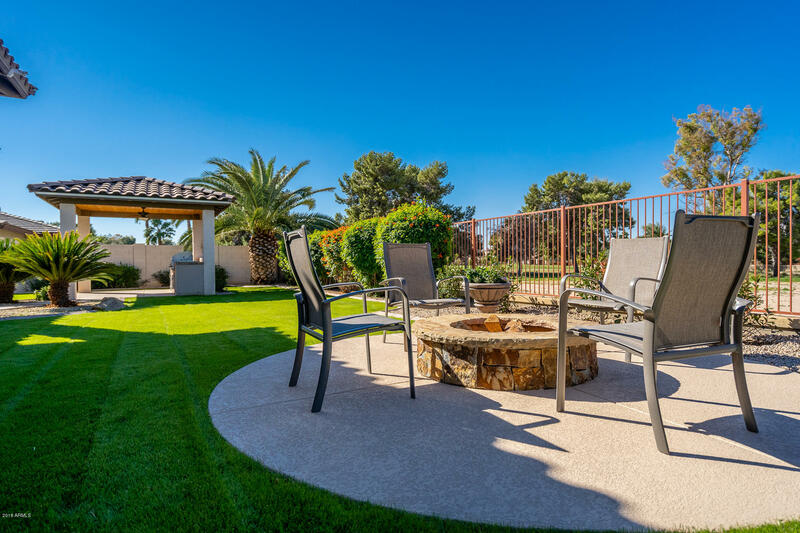 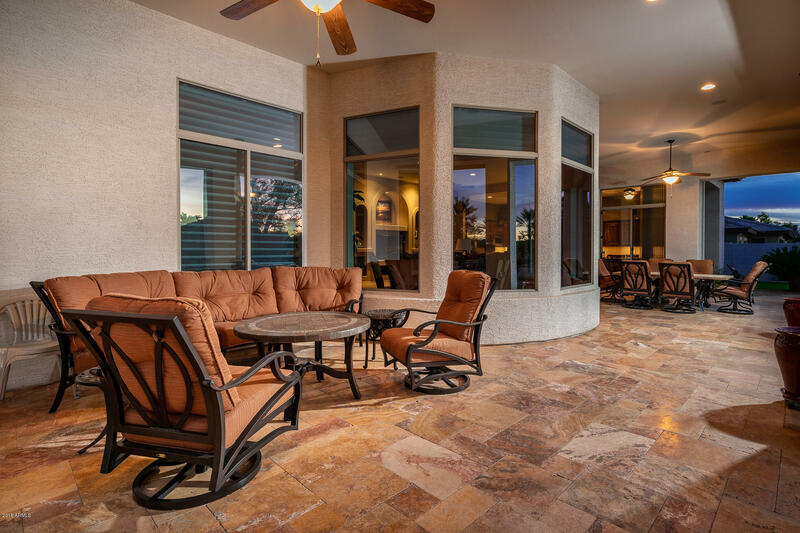 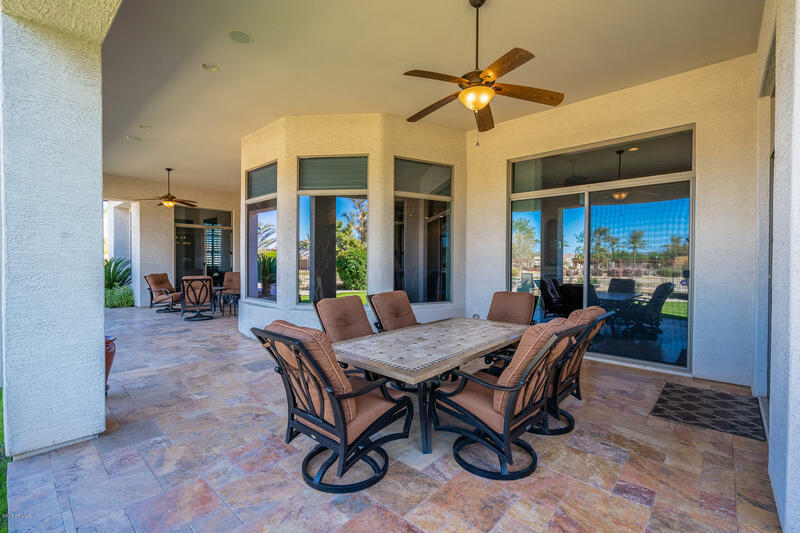 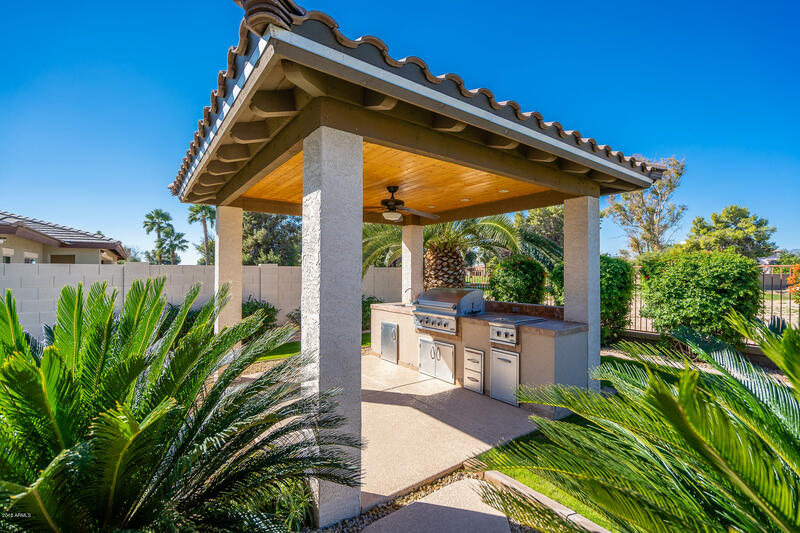 Relax under the extended covered patio with travertine tile, power sun shades, surround sound, firepit and enjoy the professionally landscaped back yard. 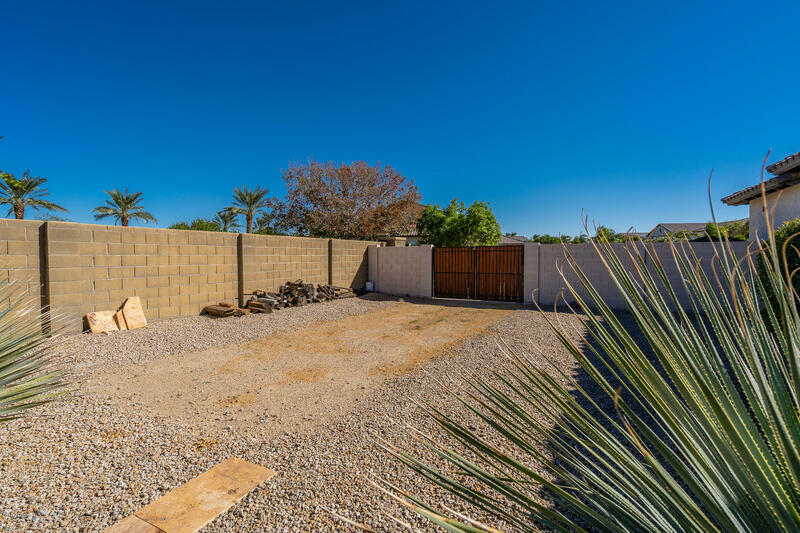 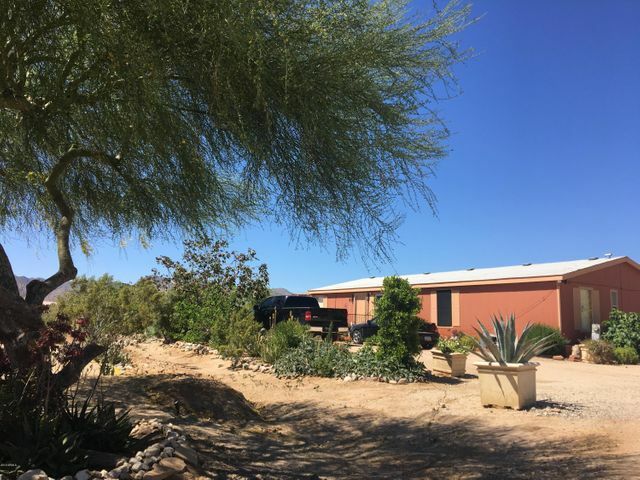 Huge side yard with RV gate, parking pad and plenty of room to build an additional garage! 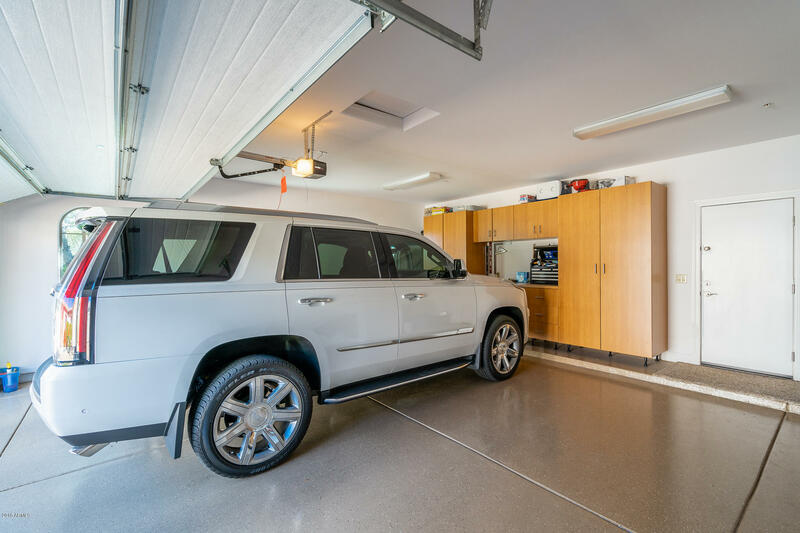 Split 3-car garage with side entry two car garage extended by 2 feet and widened by 4 feet with epoxy flooring and attached storage cabinets. 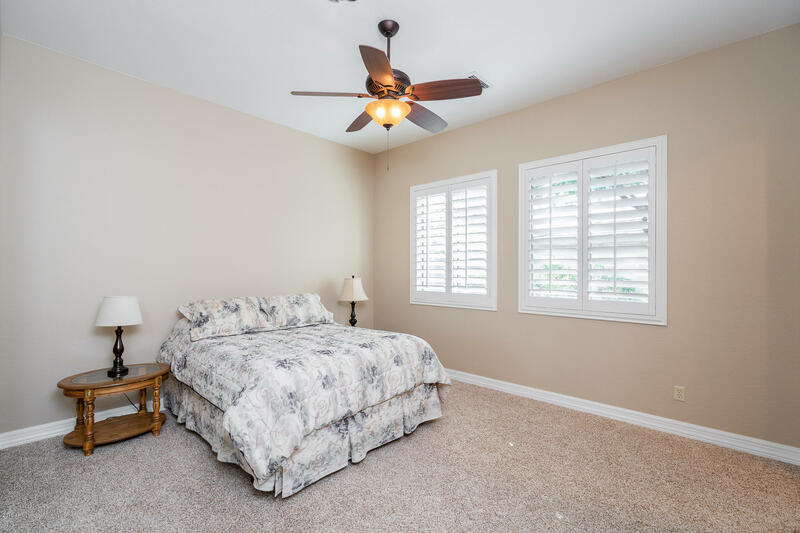 Radiant barrier at roof, 2 x 6 construction, new 16 SEER AC unit and low-E, dual pane windows are just a few of the energy efficient features. 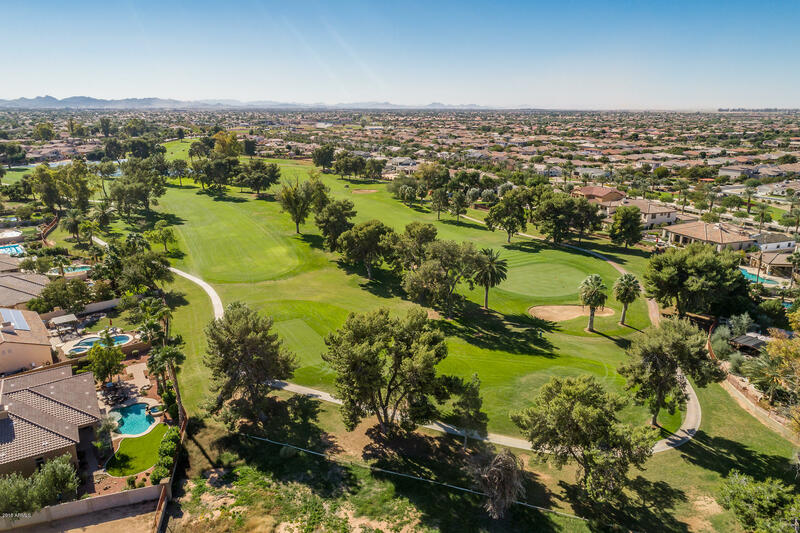 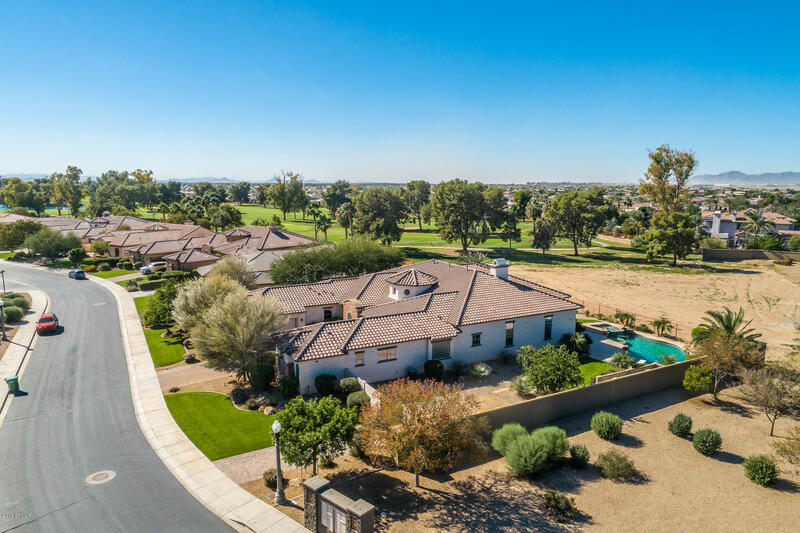 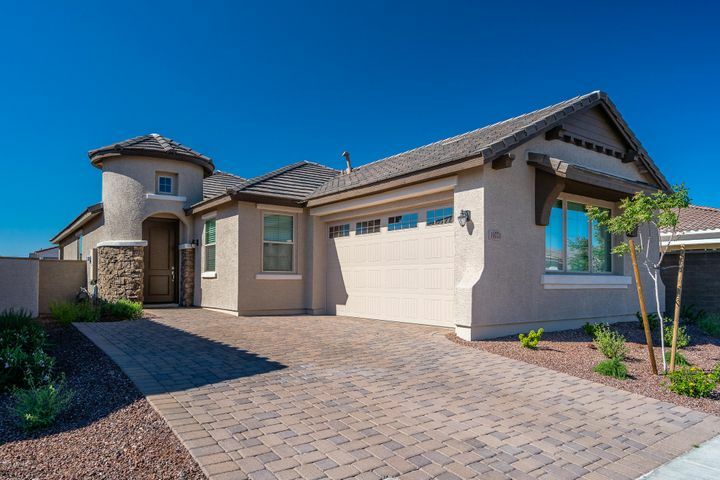 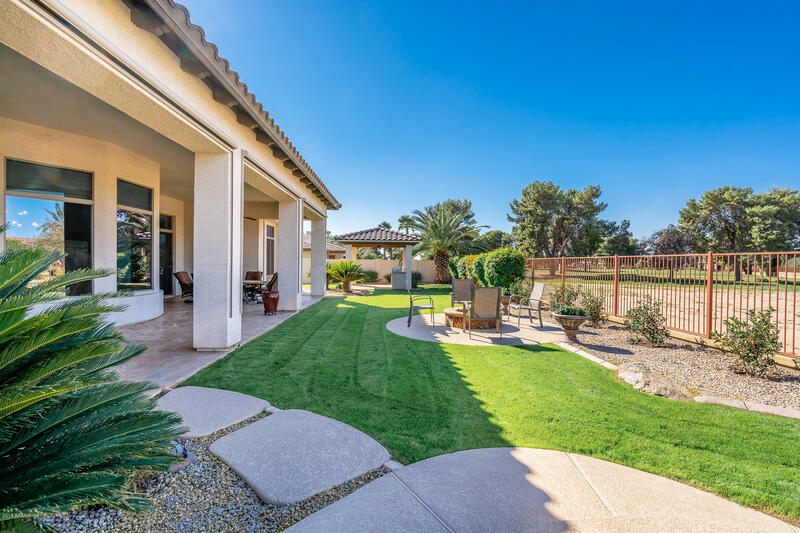 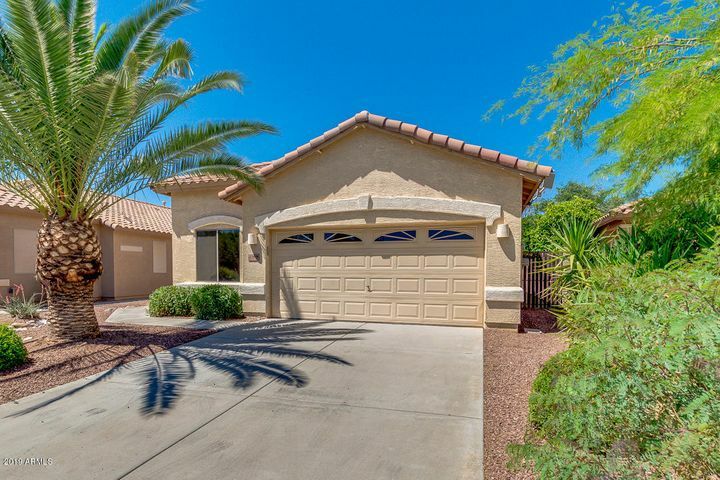 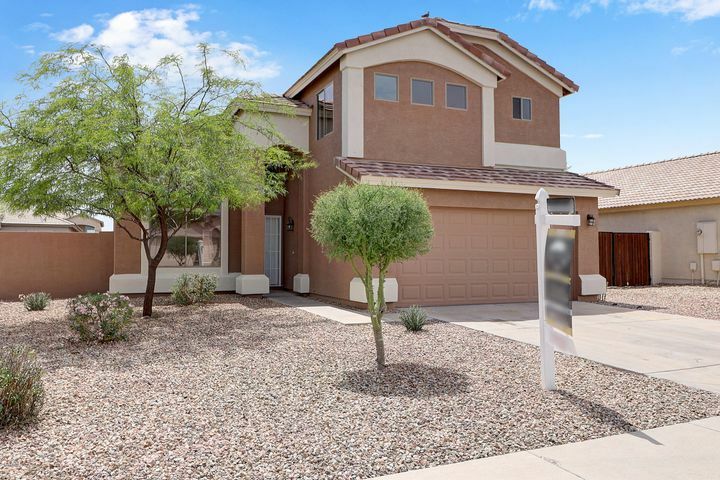 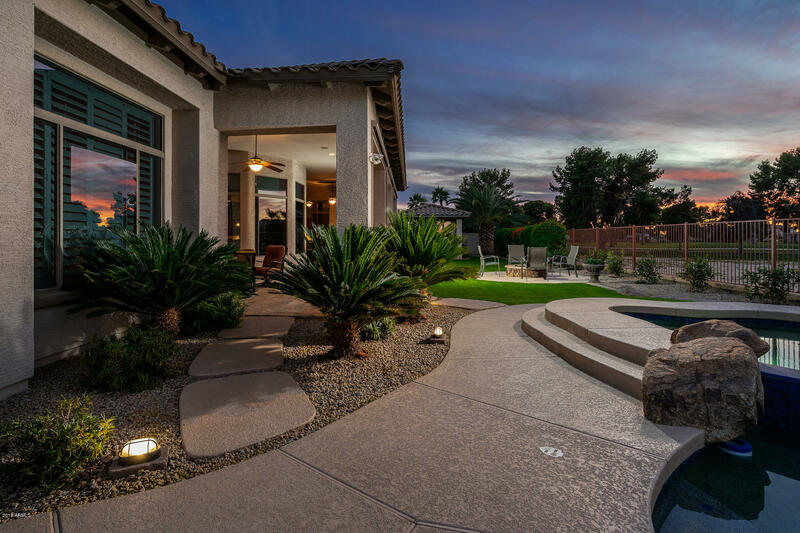 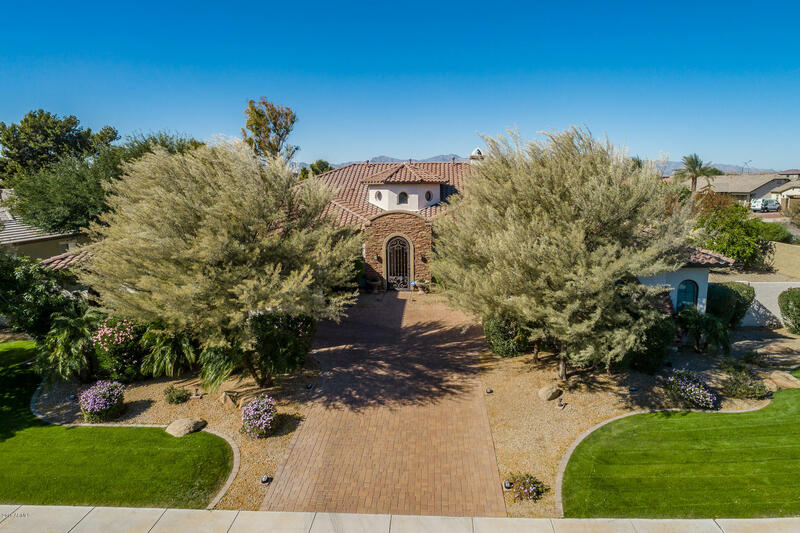 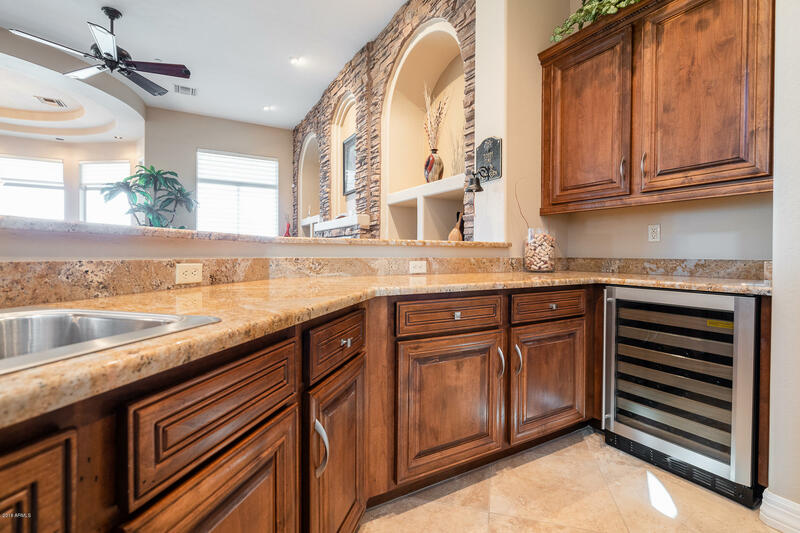 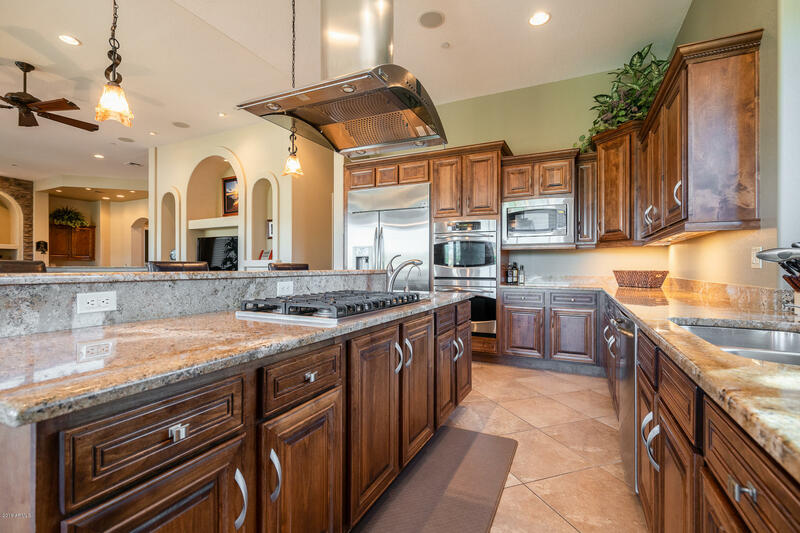 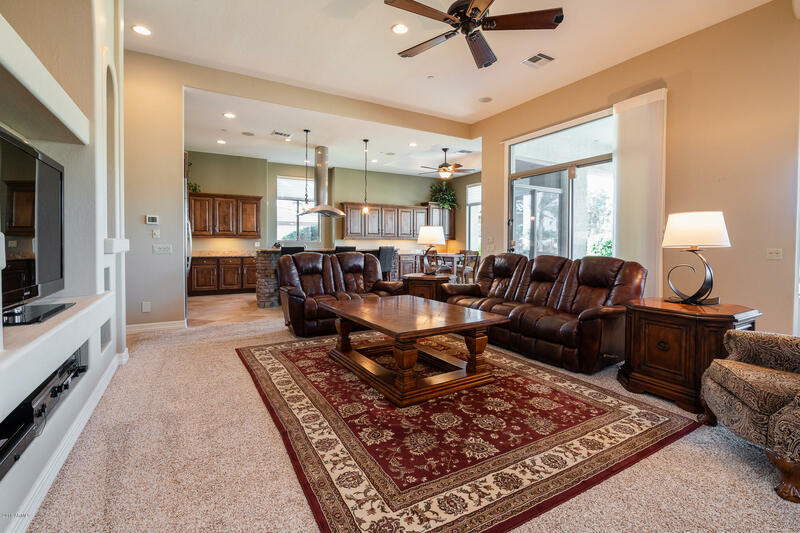 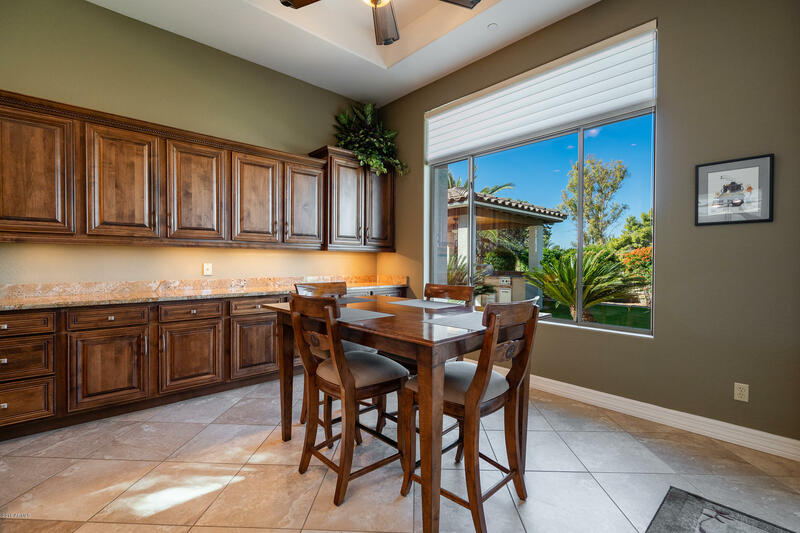 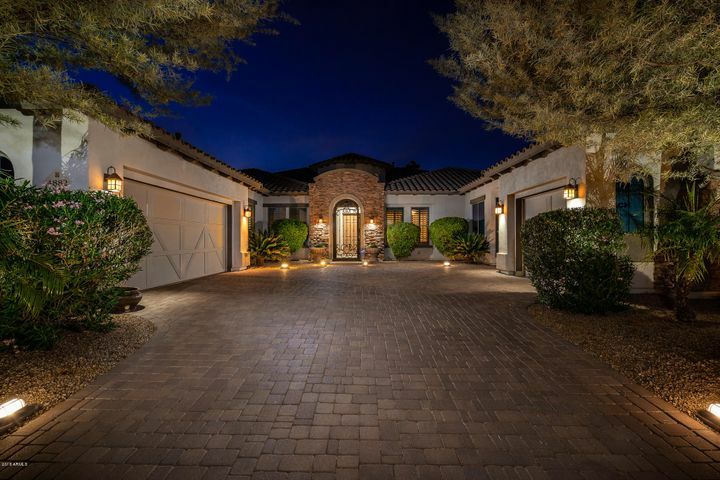 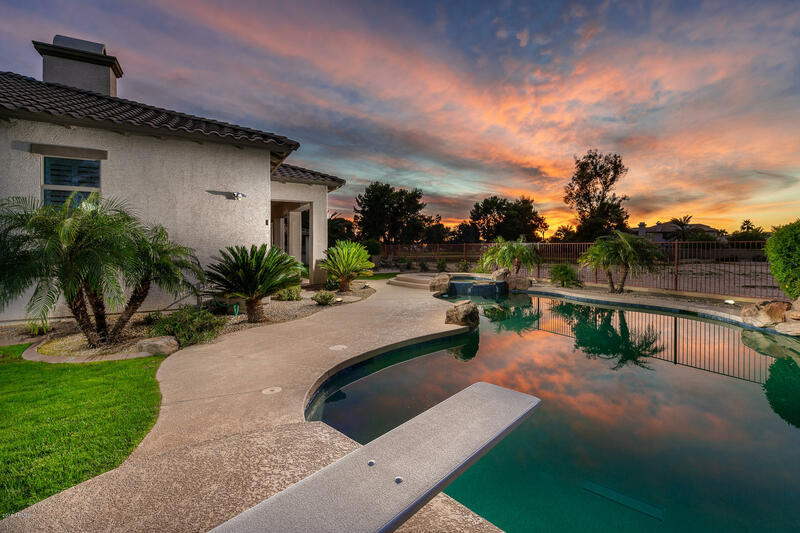 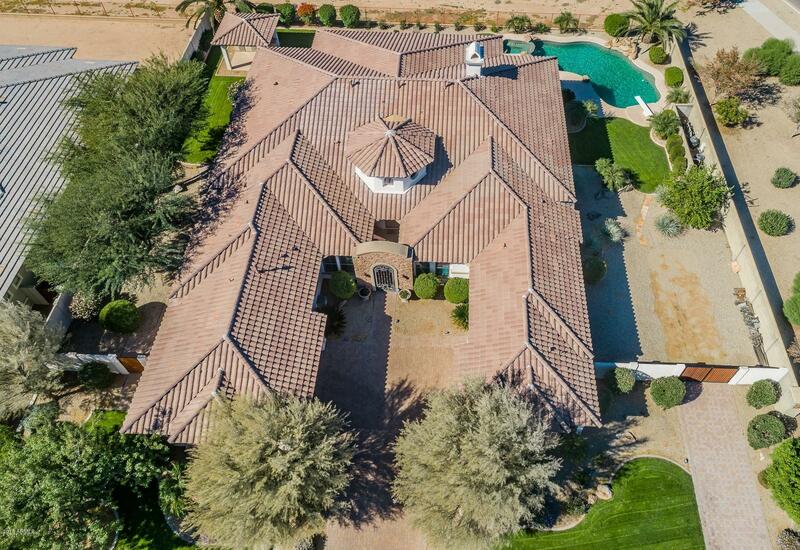 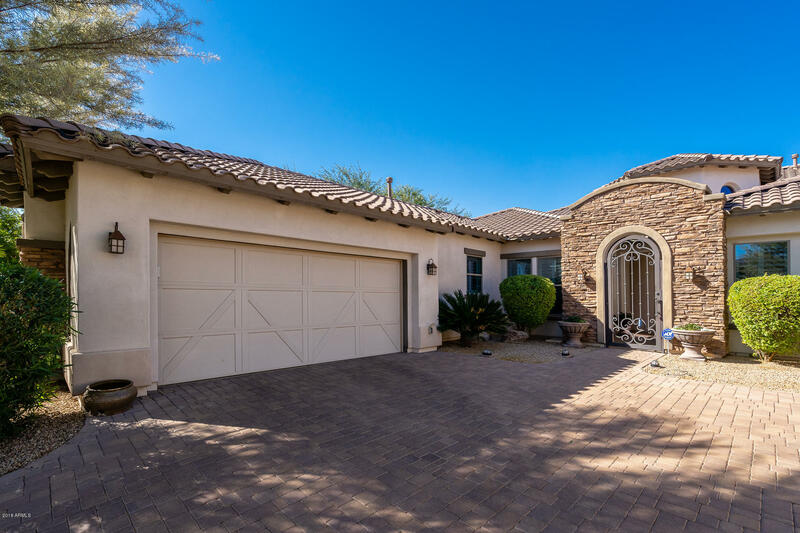 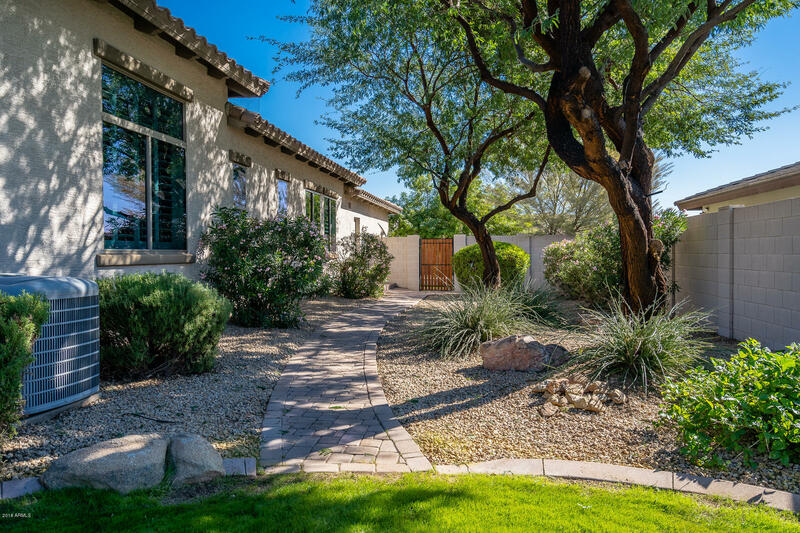 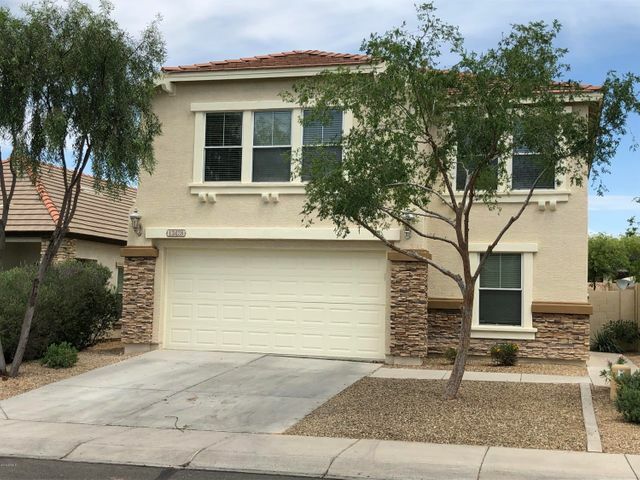 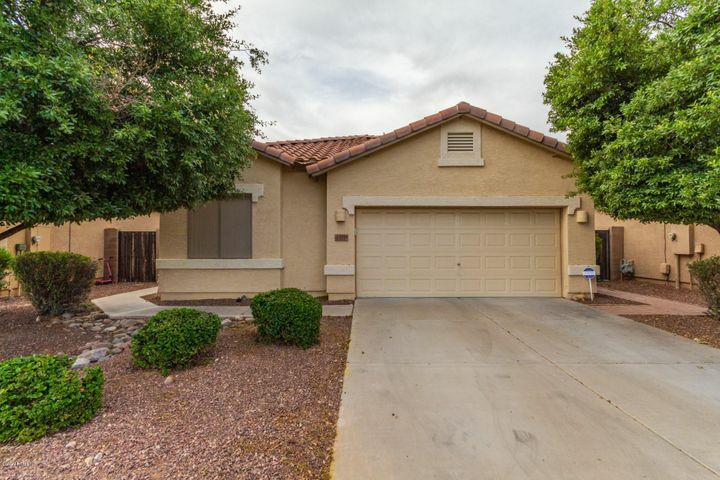 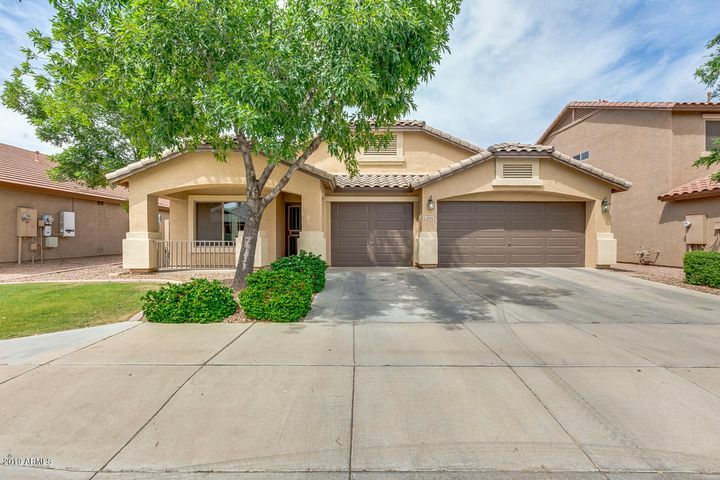 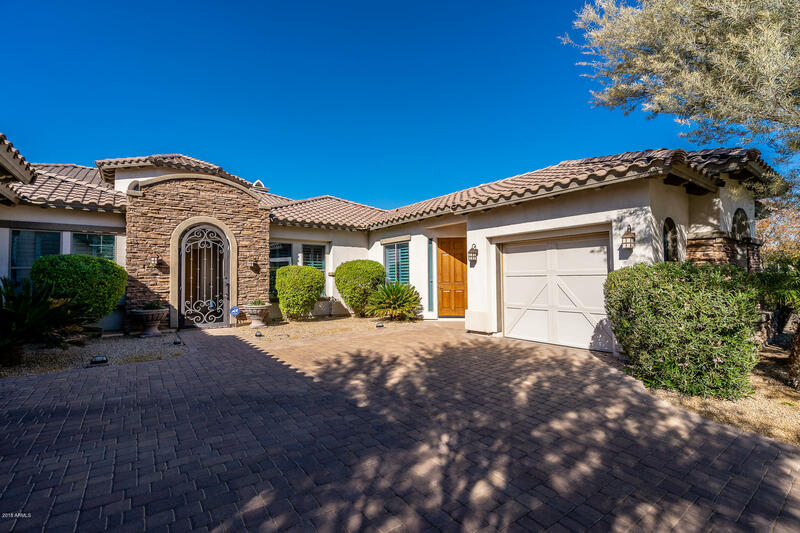 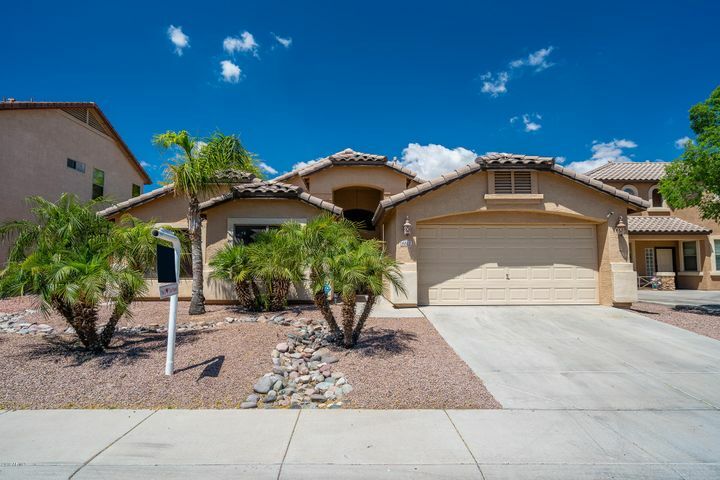 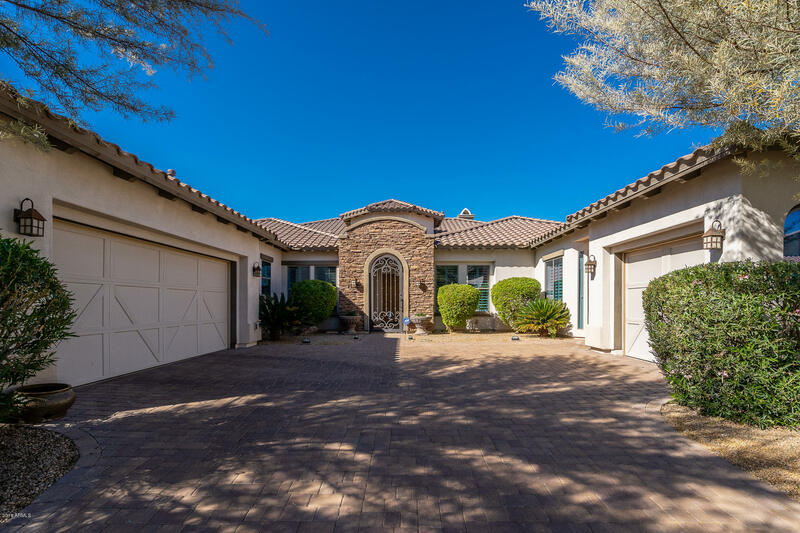 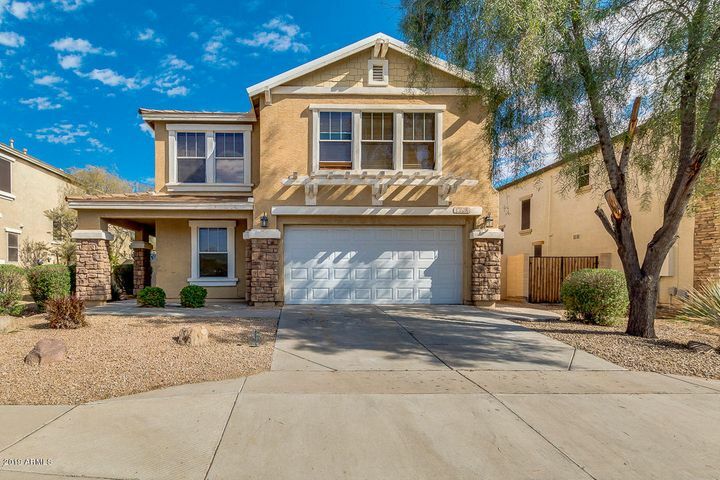 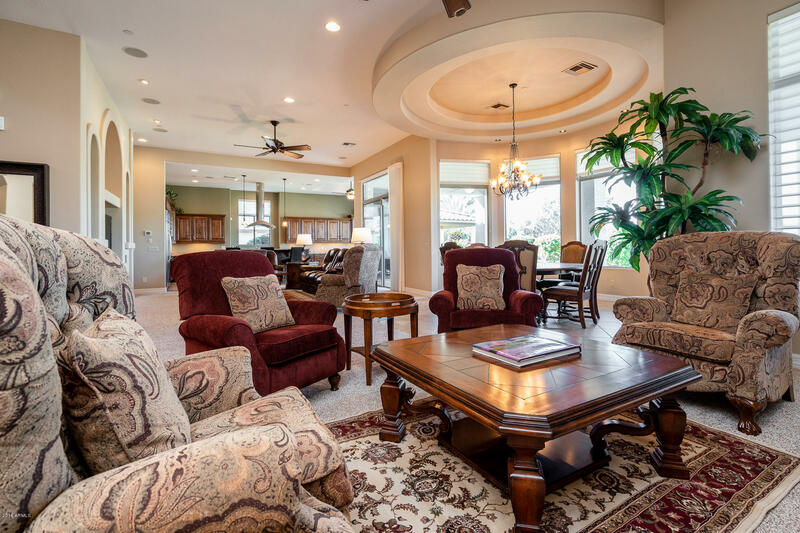 Close to Wigwam Resort with easy access to the Heritage Golf Course. 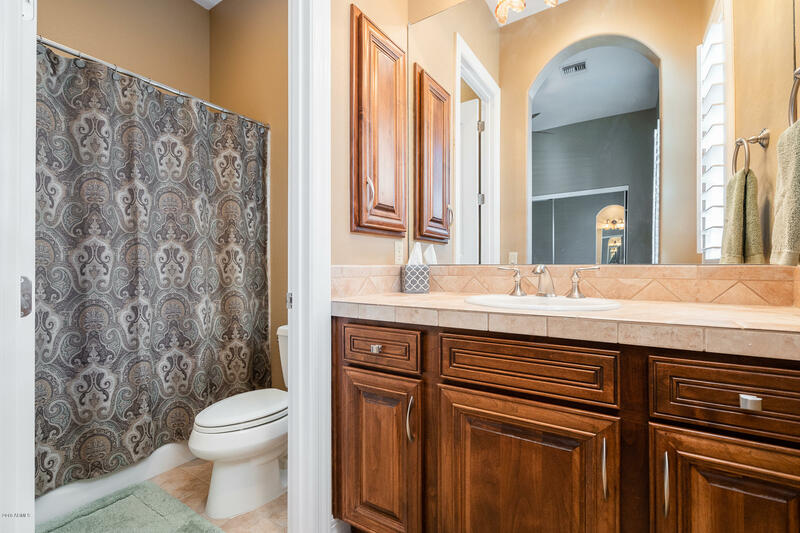 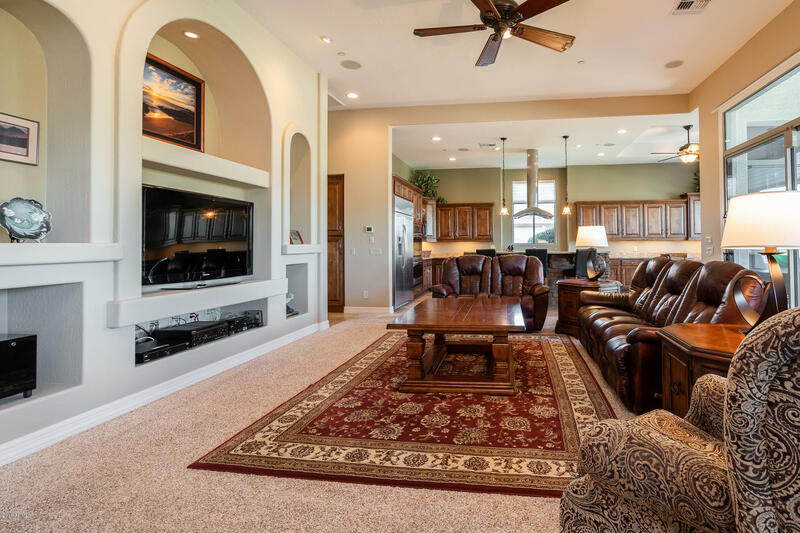 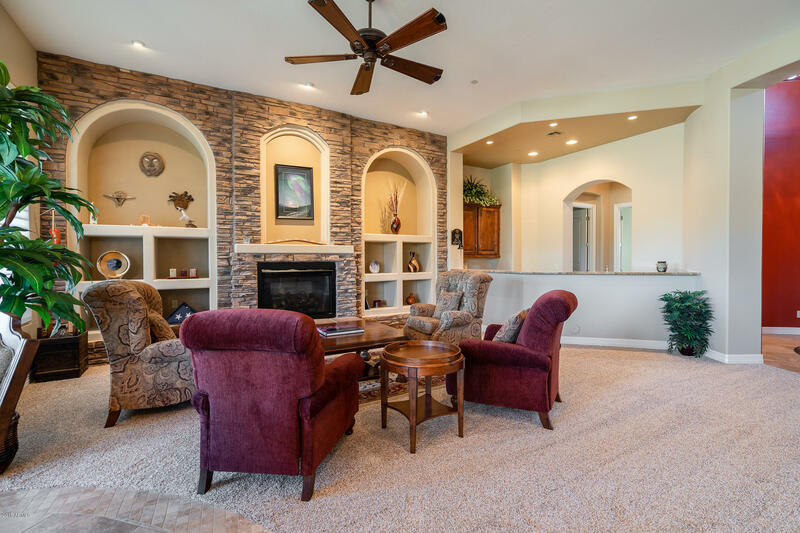 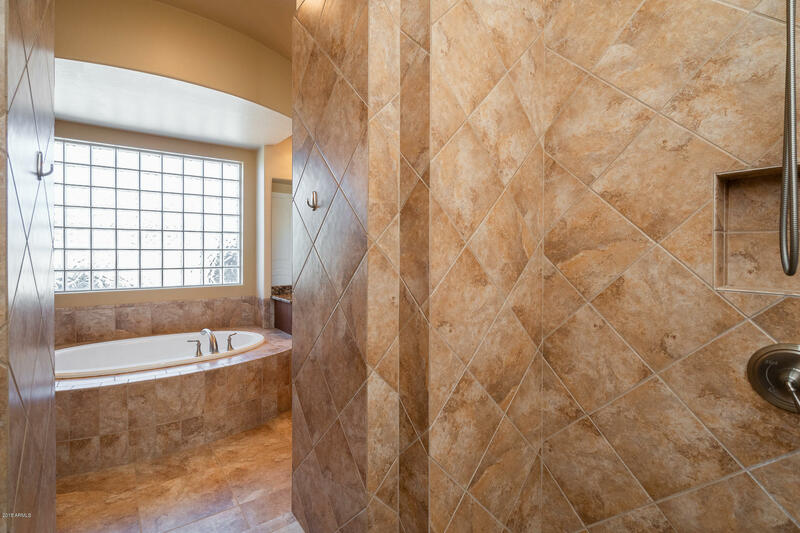 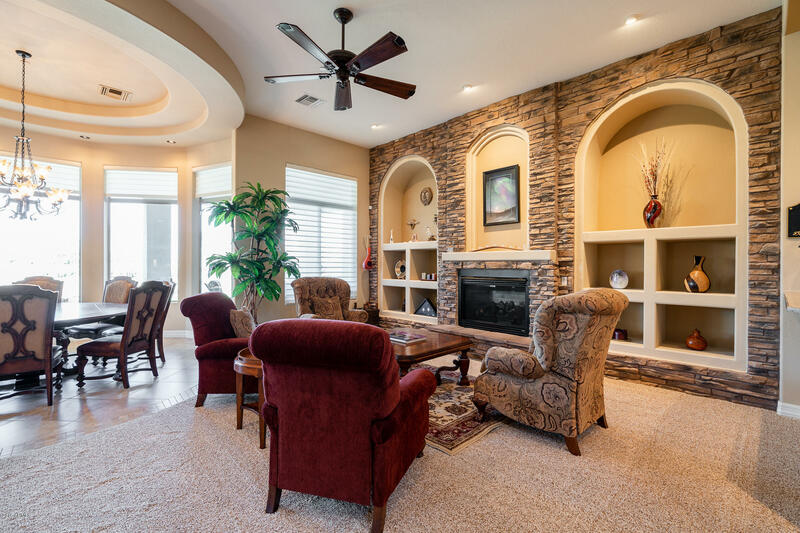 This home includes over $300K in upgrades and additions to the interior and exterior.